Solar Cell-Invention History & Story - Who Invented Solar Cell ? Well, the definition of a solar cell is simple. It is a device that directly converts the energy from sunlight into electrical energy. However, its horizons are really vast. The most significant fact is that the invention of this wonderful device didn’t happen overnight. Interestingly, the concept of solar technology is nearly three millenniums old. The first use of this wonderful technology dates back to 7th Century BC. A magnifying glass was used to concentrate the sunâ€™s rays to make fire. And would you like to know what the purpose of making this fire was? You may never guess it rightâ€¦.It was to burn ants!!! Now, that proves the saying â€˜Necessity is the mother of invention.’Â So, this was how man started using this massive energy source to serve, perhaps, a trivial purpose. Since then, scientists and innovators have made a lot of attempts to make use of this immense energy from the sun in various walks of life. In fact, many succeeded in inventing quite a few useful devices as well. 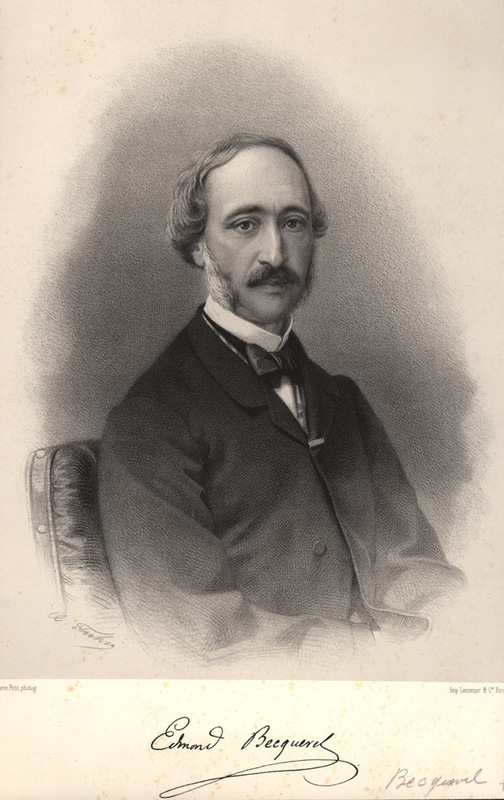 It was the research of the French physicist Edmund Becquerel that set a milestone in the development of the solar cell technology. This historical highlight occurred in the year 1939 when Becquerel was just 19 years old. One day, when he was working on an experiment with an electrolytic cell, he reported of the photo voltaic effect for the first time. The electrolytic cell was made up of two metal electrodes. When Becquerel placed this cell in an electrolytic solution and exposed it to a little light, he noticed the photo voltaic effect. He also noticed that as the light intensity increased, the photovoltaic effect or electrical current also increased. So, this was an early breakthrough in the invention of a solar cell. It is really amusing to know how selenium came to be linked with Photovoltaic effect. This incident happened sometime in the 1860s. Willoughby Smith, an electrical engineer, was testing underwater telegraph lines for any faults. He was using selenium for this purpose. While he was sincerely doing his work, he happened to notice a strange effect: When selenium was exposed to light, electricity traveled well through it whereas it failed to do so when selenium was kept in darkness. Therefore, it was Smith who accidentally discovered that electricity could pass through selenium very well. Later, in 1876, W.G. Adams and R.E. Day worked on this aspect and observed the same effect in solidified selenium. They proved that sunâ€™s energy does create a flow of electricity in selenium. Besides, they also published a paper on the selenium cell. Following these two, several scientists worked on this to understand more about selenium and photovoltaic effect. Now, who managed to build the first photovoltaic cell? It was the American inventor Charles Fritts who built the first genuine solar cell. He built it by placing a layer of selenium on a metal plate and covering it with a thin layer of gold. Though this cell had only about 1% efficiency, it was a good start and proved to be helpful in the development of early light sensors used in the cameras. Though a couple of scientists were curious about this invention, most scientists paid little attention. Having known that only black materials capture the sunâ€™s heat energy, they were not able to figure out how a cell that wasn’t black in color used sunâ€™s light to produce electricity! Perhaps, so little was their knowledge on solar energy. In those times, since there were better technologies to generate electricity, the PV technology failed to attract the masses. In fact, in modern terms, it was a flop. It was Albert Einstein who made a major breakthrough in the development of solar technology.He set his mind to understand how light could possibly create electricity when it hit a metal. Einstein knocked down everyone with his terrific explanation. He explained that light was made of tiny packets of energy called photons. He also elaborated on how photons wiggled like waves as they sped along. Einstein proposed that these photons are more powerful in ultraviolet light that in the normal light that we can see. He also added that these photons have enough energy to knock the loose electrons off some materials like silicon and selenium. These knocked out free electrons move through wires as electric current or electricity. After testing these ideas, many scientists were convinced. It was for these ideas that Einstein won a Nobel Prize. So, all the credit goes to Einstein who paved a path for the future scientists who made more efficient photovoltaic or PV cells. In the late 1800s until the 1920s, oil and gas were cheaper options of generating electricity. So during this period, there wasn’t much interest shown in solar energy. However, a few scientists did not lose hope and kept trying their best to find a way to use solar energy to generate electricity. In 1931, a German scientist named Bruno Lange succeeding in building a solar panel out of selenium. Unfortunately, Lange also faced the same problems as Fritts. The amount of electricity generated through this solar panel was too low and hence it was not very useful. Besides, the selenium cells also failed to last long in intense sunlight. These drawbacks made experts feel that PV cells cannot serve as a good way to produce electricity. The next ten years, the concept was almost buried. However, in the 1940s, people again became interested in solar electricity generation. It was in the 1950s that the idea thrust up with full force, and this time, in a different and successful way. In the early 1950s, Calvin Fuller and Gerald Pearson were working on improving silicon transistors for electrical devices at the Bell Laboratories, USA. Accidentally, they created a PV cell that produced electricity when placed in light. The cell they created was made of two different types of silicon that had dissimilar metals mixed in. During the same period of time, another Bell scientist Daryl Chapin was trying to make developments in employing selenium cells to generate electricity. Well, he wasnâ€™t that successful in his efforts. Then, one fine day, Pearson happened to discuss his accidental silicon PV cell with Chapin. Chapin became really excited and started looking into it straight away. 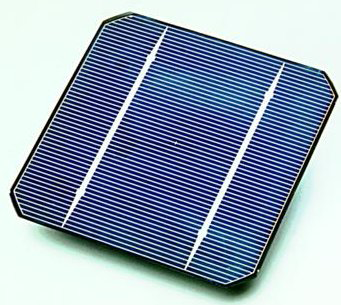 The Bell scientists were amused at the new idea that silicon PV cells were capable of producing five times more electricity than the selenium PV cells. The three of them spent one complete year experimenting with the silicon cells in order to make sufficient electricity to make these cells really useful. At last, after facing a lot of disappointments, they made their way to success. They achieved it by mixing small amounts of different chemicals into silicon crystal slices. This silicon solar cell they invented was able to directly convert sunlight into enough electricity to run electrical equipment. These silicon solar cells were about 50 times more effective than the selenium cells discovered two decades earlier. Thus, the silicon solar cells came to exist. A good invention, the solar cell technology should be looked into and embraced by scientists and engineers to make it more efficient, reduce the cost and even making it to produce alternating current other than having to go through inverter circuits.